H i Katie! I’ve followed you for a long time after hearing your interview with Jenna Kutcher on the Goal Digger podcast. I actually just went back and re-listened to it and it’s so good. For anyone that hasn’t listened to it, I’ve included a link to it at the end of the article. Please tell us a little bit about yourself and how you got to where you are today. I am the Founder of Cottage Hill™ which most people know for how it started as an internationally-distributed magazine featuring fine art photography and stories on what it means to live wholeheartedly. Since becoming a mother and starting our family ranch here in Oklahoma, we decided to pull back on printing and feature our stories exclusively online. 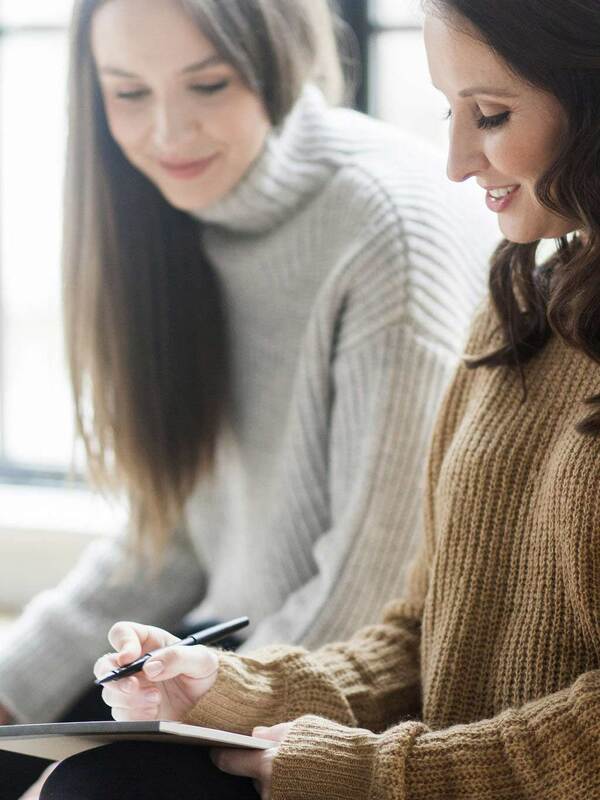 I also teach other creative entrepreneurs how to build sustainable business that support their desired life, and not the other way around, through consulting and my signature business program for creatives called Editor’s Course™. Your business has a lot of different facets including a podcast, an online publication, you’re a ranch owner, you have a course, 1:1 consulting, etc. Can you tell us a little bit about the different pieces of your business and what inspired these different facets? Yes! There are many moving parts to my daily life, personally and professionally. Cottage Hill™ was birthed from the idea of wanting to help people get off of their phones and actually live presently in their life. Instead of getting stuck on Pinterest or Instagram, which can be good tools, go create a live a beautiful life for yourself—a life that leaves a legacy you’re proud of. At the beginning, I was selling our advertisements and I would get on the phone with these really amazing creatives who wanted to get more clients through our ad offerings. And the more I would talk to them the more personally invested I would get into our conversations. I was supposed to be selling ads, and three hours later not only would they get an ad, but I would have given them complete portfolio and website reviews, a new marketing strategy and several ideas on how to get their business off the ground. I jokingly shared this with some influencer and industry friends—some creatives who got all this ‘free’ advice had gone on to make quite a bit of money or get featured in huge publications—and they encouraged me to do business coaching and consulting. I was very reluctant as I had a negative connotation in my mind about coaching and online education. Back then it wasn’t as ubiquitous as it is now. So, I wrote my entire philosophy back in 2014 and into 2015 which became my business program Editor’s Course™ that I still teach today. It’s something I very proud of and my students are so incredible. My biggest hope, and I think achievement with the course is that it’s about so much more than business. 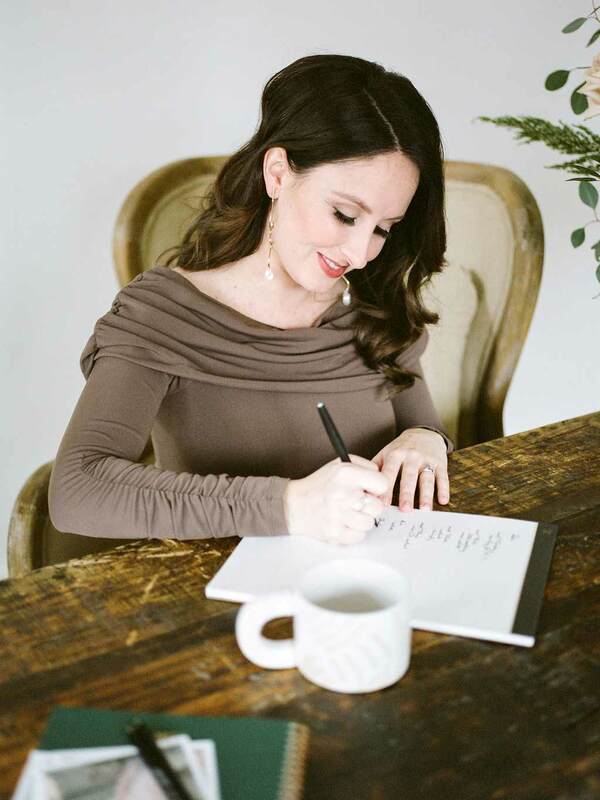 You can plug in a few key practices and have a successful business or marketing pursuits, but I want to encourage, especially creatives, to be discerning in that they are creating a life that is even more beautiful than their work or brand. Becoming a mother and starting our family ranch which has been a long-term vision for us, has made me shift my work around quite a bit this last year. I’m unable to offer as many 1:1 opportunities so starting my podcast The Creative Well™ which is also a call-in show (meaning, you can call in or email me a voice memo with your creative business question) has allowed me to still feel connected to creatives which is so important to me. I’ll never forget an article in Cottage Hill™ about a husband and wife with photographs that so beautifully captured their relationship. It’s stuck with me ever since. What’s been your proudest moment with the magazine? Thank you so much. I know exactly what editorial you’re talking about, we were so proud of that! Not to sound cliché, but I think my proudest moment with Cottage Hill™ is yet to come. With life changes as of late, I’ve had to sort of rotate my businesses so I can focus on being home more with my children and get the ranch going, and it has made Cottage Hill™ less of the spotlight. However, just like life and changing seasons soon it’ll be getting more attention again and while I don’t have anything specific I can share now, I’m very much looking forward to that chapter. In one of your recent emails, you talk about how your purpose is to be an editor. How did you discover your purpose and how does it play out in different aspects of your life? I think perhaps there is too much pressure on ‘finding your purpose’ or your thing, you know? I think it’s important to know your strengths, your core desires, but to also recognize you are an evolving human being who can change and next month, you really may be a different person. You need a certain level of self-awareness and maturity to really get that for yourself. However, especially when it comes to work, I always encourage students to think of ‘finding their thing’ less like an Eat Pray Love experience where you have to go find yourself. But instead, think of it more like running into an old friend. What is familiar that makes you feel good? What are you already naturally gifted at and truly enjoy and share with others right now? Expand on that. If I look at my life, childhood to now, ‘editing’ in some way has always been comforting to me. So has storytelling. But from more of a production standpoint which requires lots of editing. I was the kid who started clubs, at 10 years old I recorded my own fake radio show with commercials and all. I used to edit my mother’s magazines—I even redesigned an entire home from a feature with graph paper because I didn’t think it was quite right. Before all of this I was a professional ballet dancer, but more than dancing, I loved choreography and that was actually what I wanted to do with my life. I loved the idea that a movement of holding your palm up or your palm down could completely change a story. There is a pattern in my life of storytelling, production and editing that feels natural to me. You’ve also described yourself as a storyteller. We know that story is so important in connecting with others. What would you say is the key to telling a really good story? The story may be about you or created by you, but it’s not for you. Never forget that. I’ll never forget being exhausted from a million performances and complaining about it without realizing one of the ballet masters could hear me. He said this to me reminding me that I chose to be a dancer. That I have the honor to perform on a stage seen by thousands who pay a lot of money to come and escape from their life to dream, just for a few hours. The fact that I’m tired or sore is of my own choosing. And in the end, I have to be OK with if it is all worth it. No matter what you do with your life, you get to choose it. What would you tell someone who’s been wanting to take the leap and try a new idea, but because of fear or otherwise, hasn’t made a move yet? Action finds clarity. You don’t know until you try. And I would encourage you to fail as much as you can early on while you still have anonymity on your side. Life is short. You may actually hate what you think you want. But, you’re going to live in this limbo if you don’t find out. Think of it as an experiment. That helps take the pressure off too. This spring is very full. We’re welcoming our second daughter in April, all of the animals will be having babies on the ranch too—the cows and miniature sheep! My new website will be dropping any day along with some new content while I’m on maternity leave. I’ll be releasing a few new educational opportunities this summer and fall along with a new class of Editor’s Course™. Then hopefully I can share some news on Cottage Hill™’s new direction before the end of the year! What did you love from this interview? 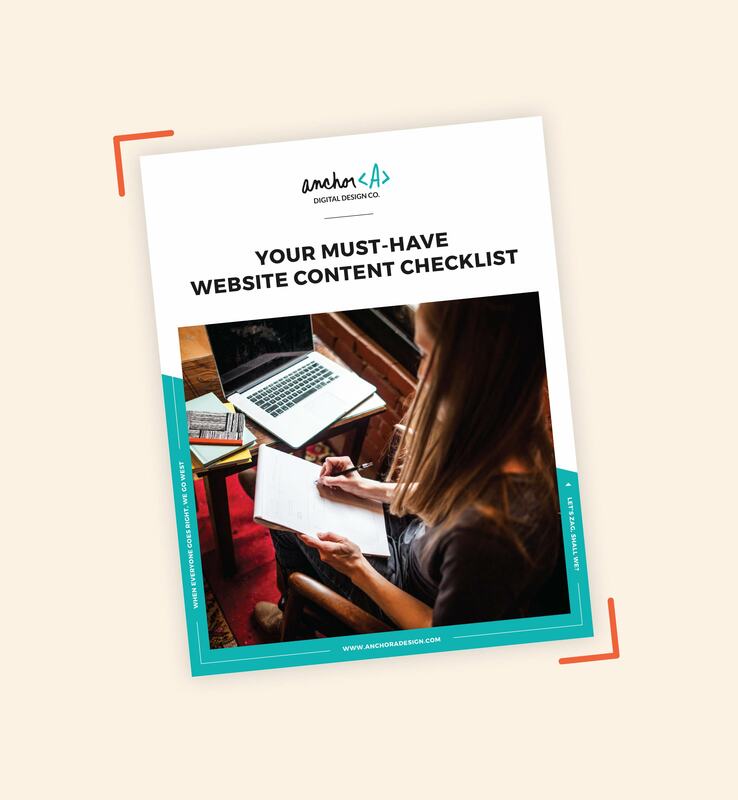 An all-inclusive list designed to make website planning easier and ensure you’re not forgetting anything important.